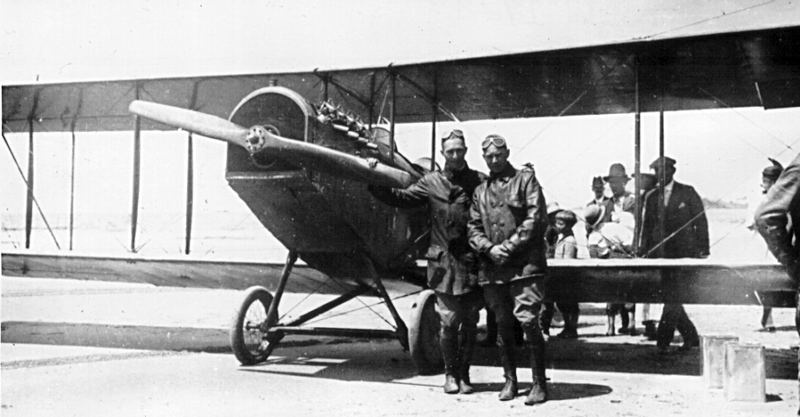 Two photos (and an accompanying newspaper article) from the era of ‘Barnstorming’. 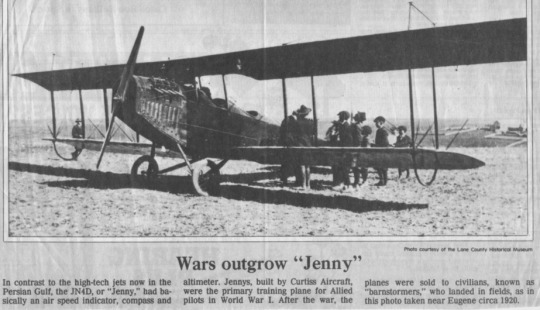 I believe this modified JND4 (Jenny) dropped in around the time of Port Orford’s first ever Pioneer’s Reunion was being held August 14, 1924. Its wings were ‘clear-doped’ which is why you can see each rib. I showed these photos to the Director of the Pearson Air Museum where I am a volunteer. 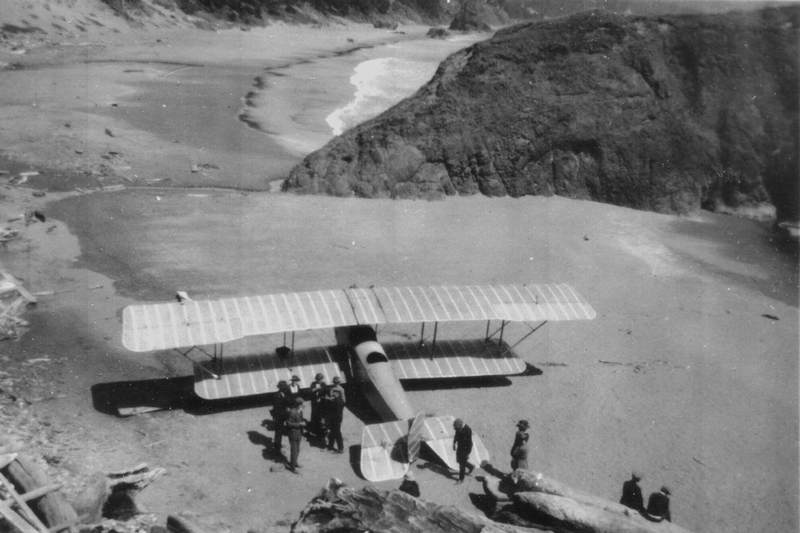 Dr. Cromwell (http://www.nps.gov/fova/parknews/cromwellatpam.htm) thought that the aviators below appeared to be wearing military gear and (if the photo was taken on an Oregon beach) this Jenny could have been based in Vancouver, Washington.